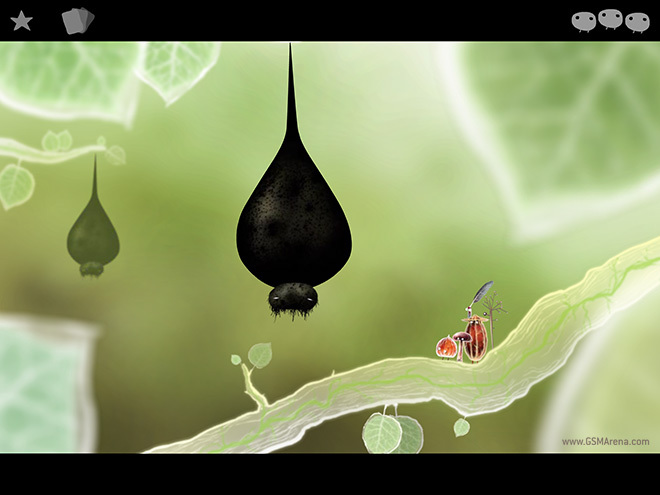 Since then it has made its way to the small screen and is now available on the iPad. We decided to take a look. 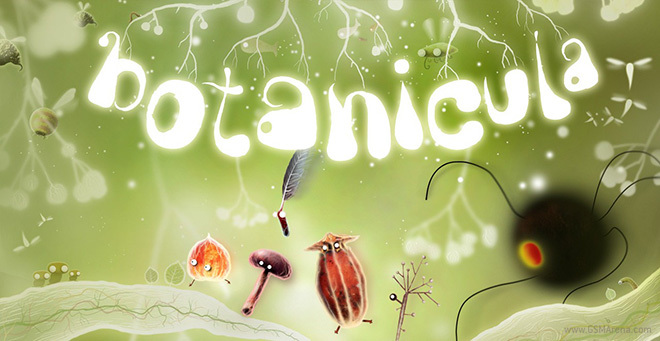 Botanicula is a 2D puzzle game about five tree creatures who are trying to save the last seed of their home tree from the evil parasites. They all stick together everywhere they go and each one is different with different abilities. They walk from one branch to another and you move around by tapping on the end of the branch and directing them to move in that direction. Most of the puzzles in the game involve fetching certain items that are scattered around everywhere. You face other tree creatures along the way, some of which help you in your quest while others are hostile. Some require something else in exchange for their assistance, so then you have to get that instead before you can move forwards. In some cases, you come across an obstacle that involves the skill of one of the five tree creatures. The game lets you try all of them, with humorous results for all the wrong ones, until you finally find the one suitable for the job. 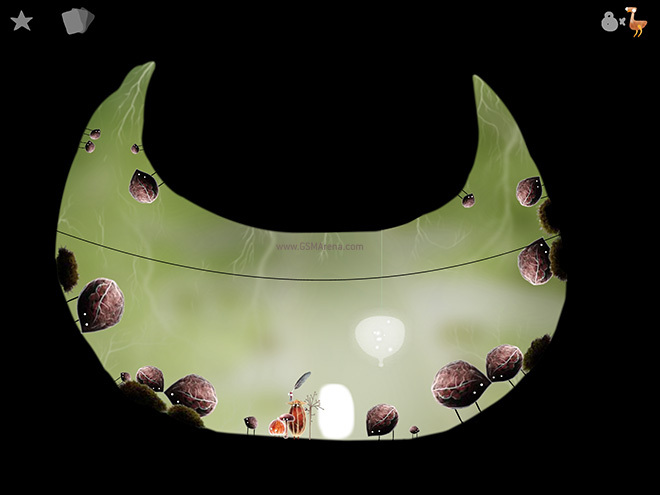 The game has a lot of puzzles scattered around on every branch, each part of a bigger puzzle that comprises a level. One puzzle even had a little mini-game that you had to play in order to recover an object. The puzzles, in general, are not very hard but in most cases there little to no explanation given so it takes a while to figure out what you are supposed to do. All of this happens in Botanicula’s charming world. 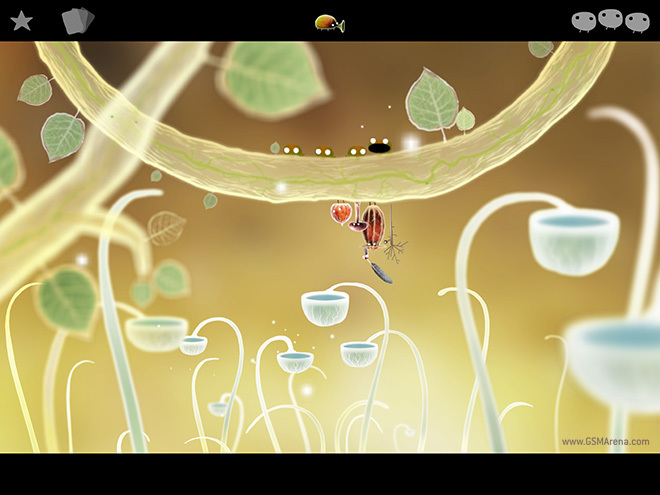 The characters and the environments are full of life. 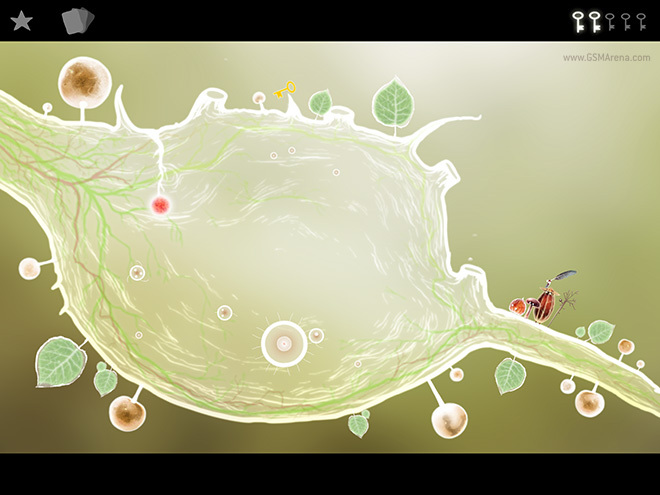 You can touch any object on the screen and see it react. There are creatures hiding in nook and crannies that don’t really add to the gameplay but you can tap and pull on them and watch them move or scamper away. The game unlocks a card for every new creature you see and some creatures need to be brought out by tapping on some of the existing creatures. There is a lot of amusement to be had in poking and prodding everything and the way the creatures react always brings a smile to your face. When it comes to the audio-visual presentation, Botanicula is right up there with the best in the business. The level design, the characters, the animation, the music, it’s all ridiculously good. The game looks gorgeous and every frame looks like art. The character animations are also superb and really help the characters and the world come to life. The sound is equally stunning, with the music in particular being stellar. The sound effects are hilarious and as you’ll realize while playing the game, mostly all made by mouth and not by some instrument. Simply imagining someone sitting in front of a mic and making all those sounds is amusing, which makes hearing them in the game all the more entertaining. 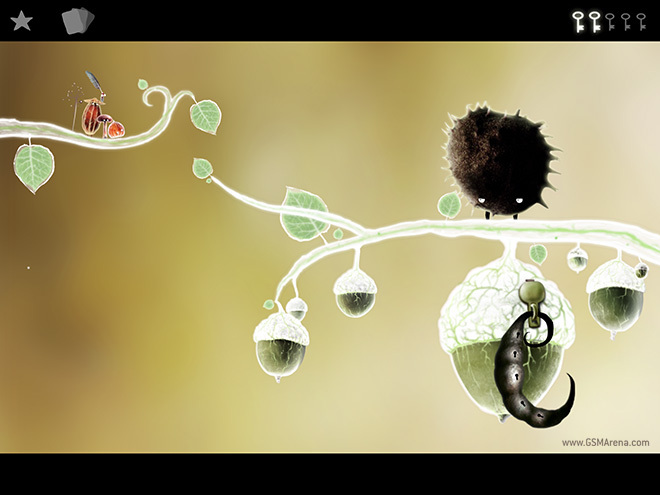 Ten minutes into Botanicula and it’s not hard to see why the game received so much praise. The art design, the music, the puzzles are all exceptional and you can’t help but smile at everything that the game does.